Sir Bobby loses final battle but will never be forgotten. | NUFC Blog. Sir Bobby loses final battle but will never be forgotten. 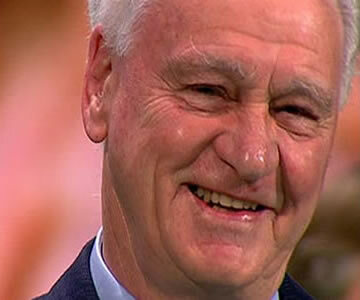 Sir Bobby Robson died earlier today after losing his long battle against cancer. Nobody needs me to say much right now, as we all know what he was and what he meant to us, which is just as well because I don’t think I have the words right now. God bless you Sir Bob, thoughts go to your family on this sad day. A true legend in every sense of the word. Some great memories to cherish and never to be forgotten. How fans can honour Sir Bobby. Last of the summer whine for Toon fans? Watching SSN, can’t stop the tears. A real geordie legend who fought such a long and courageous battle with cancer. He was a passionate and inspiring man and a real gentleman. I’m so pleased he was able to say a final farewell to the Toon last weekend. RIP Sir Bob you will be so sadly missed. It’s awful that he had to go seeing the club he loved in such turmoil. You had an amazing life Sir Bobby, Rest in Peace. If my boss wasn’t sitting directly in front of me I think I might just have to let go. My throat is killing and my face sore from keeping the emotion in. Reading these blogs and tributes is making it harder to deal with. He only got to that game the other night with the strength, passion and dignity that made him the bloke he was. Thankfully people got to say their goodbyes. Somebody should look for that mould they threw away after they made him. It’s game over for me for any work today. I’m that upset about it. A legend in every sense of the world and the nicest bloke you’d want to meet. God bless you Sir Bob. Unusually, I’m lost for words. I find this very, very sad. May he rest in peace. Sad beyond words…a great man and a massive lost, not just to the world of football, but to anyone who ever knew of met the bloke. My thoughts are with the family and my perspective has been well and truly focused. One of the saddest days in a long time. We can rest assured – Bobby will behind the pearly gates right now – already negotiating with the footballing greats to help us get to the top – god has probably asked to meet him – if Bobby has time. Bobby – you will be missed sadly by us all – but your spirit will live inside us all forever. You made and make Newcastle Proud. Rest in peace Sir Bobby. He will be dearly missed not just in the NE but in world football. A true gentleman. They dont make them like that any more. A sad sad day…. A decent ,honourable man so rare in football these days.A real ambassador for sport and the UK. Stardust – I don’t think I’ve read more fitting sentiments yet. He cut across the divide effortlessly because of how special the man was and everything he stood for and offered. Not much I can say. Everyone knows what a man he was anything I can cobble together wouldn’t do the man justice. Fitting that he was able to attend the game in his honour and even more fitting that we had a good attendance. A real man of honour and there needs to be a fitting tribute to the man from the City. Dyer, for all his vices, seemed really genuine in his interview. RIP Sir Bobby Robson. Today, alliances will be cast aside as the footballing world unite’s to mourn his passing and celebrate his legacy. A true legend that will never be forgotten. You know what I’ve just realised. Our first game against the baggies is against one of Bobby’s old clubs. What an emotional day that could turn out to be! Oba wasn’t that amazing, best for all that he’s left. Aye MT, a few people have mentioned that. There’ll be tears like. Just been watching some of the tribute videos and had to let it all out. Like a big sissy. The bloke was a real one-off. The Martins transfer is largely irrelevant I guess? I’m regarding this weekend as Sir Bobby’s and I don’t want to get into news, rumour, issues etc about the club until next week. I just want happy memories of a football icon for the next few days. I’m going to find my Gascoigne’s Glory VHS tape. I could listen to Bobby’s stories on there all night long.